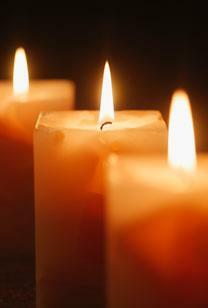 Roye Schell, 73, of Sarasota, FL passed away on Saturday, November 26, 2011 at the Hospice House of Sarasota. Roye was surrounded by his loving family and was released from this realm in peace. Roye was born Jan. 24, 1938 in Scotia, NY. He was the son of the late George and Edith Schell. Roye was a believer of all that is good, a lover of everything natural, an artist extraordinaire, a mentor to all, a life-long committed partner, the greatest Father three daughters could have hoped for and perhaps most importantly, a free-thinker in all regards. Roye is survived by the many community members whose lives he touched. His life partner of 43 years, Steven Vincent-DiGiorgio, daughters Desiree Schell (Thomas Lara), Daria Walker (James), Jolie Schell-Schroeder (James Schroeder), grandchildren: Aja Martin, Briana Martin, Tessa Martin, Alexa Martin, Seth Schell, Nichole Walker, Vanessa Walker and Dylan Schell-Schroeder; sister, Lois Hudson (Donald) and brother, James Schell (Carol); artistic partner, Robin Mazey (Avi Golub) and beloved feline, Pandamonium. He was predeceased by his brothers, Ronald (Butch) Schell and George K. Schell. Services will be held privately. In lieu of flowers or gifts, memorial contributions may be made in Roye Schell's memory to the Tidewell Hospice House of Sarasota, 5957 Rand Blvd., Sarasota, FL 34238. Arrangements under the direction of National Cremation & Burial Society, Sarasota, FL. The Guest Book for Roye Schell is no longer available online. Read obituary at Daily Gazette Co., The.